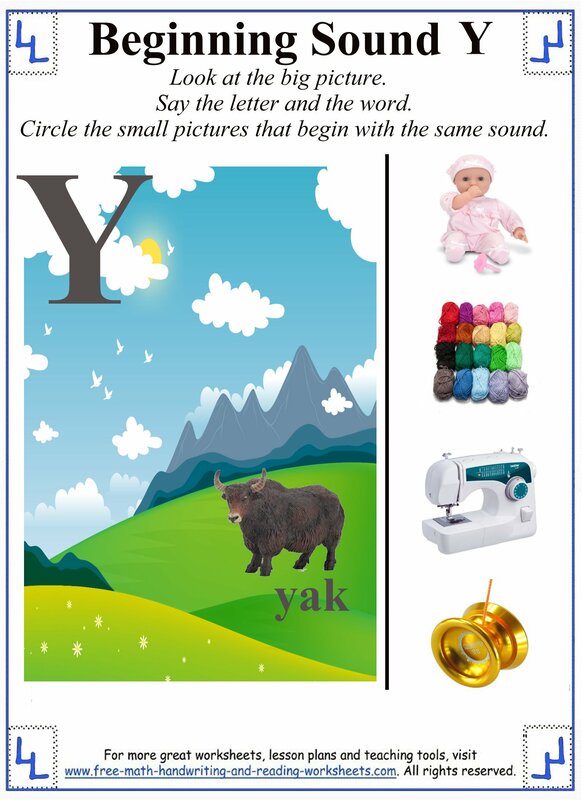 You can print out these Y letter worksheets and activities to teach your child the beginning and ending sound /y/. 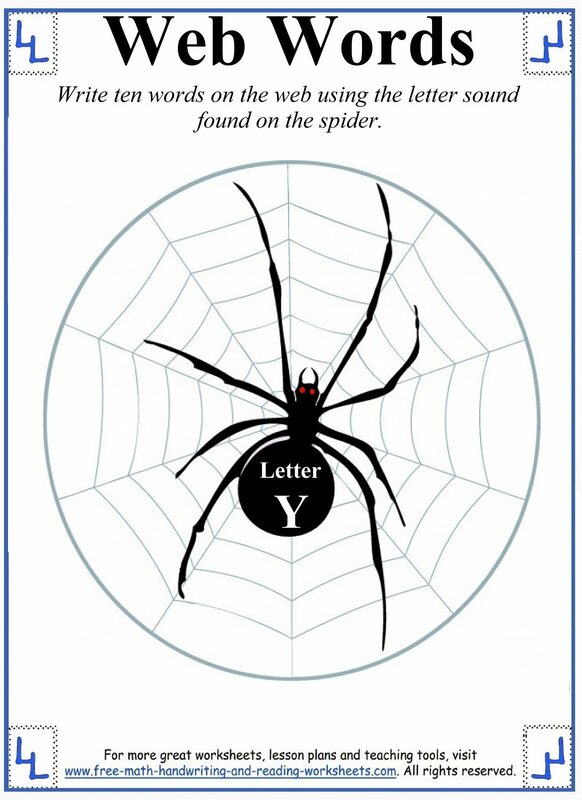 You'll find coloring pages, fine-motor tasks, and other ways to introduce your child to the letter Y.
I've tried to make lessons for different learning levels. I know that in Preschool there are a wide range of skill levels. Some students can write while others are still learning the Alphabet. Work at your child's pace. Printing your practice sheets is easy. Just click on an image below. This opens a printable PDF in another tab. Click on the printer icon and you're all set. The handouts below have instructions on them, but I'll cover them in a little more detail below. The first activity is great for preschool students starting to learn the alphabet. Say the letter and the word--have your child repeat them both. On the right are four pictures. Name each one and then circle the ones that begin with Y. The second paper mixes both ending and beginning sounds. 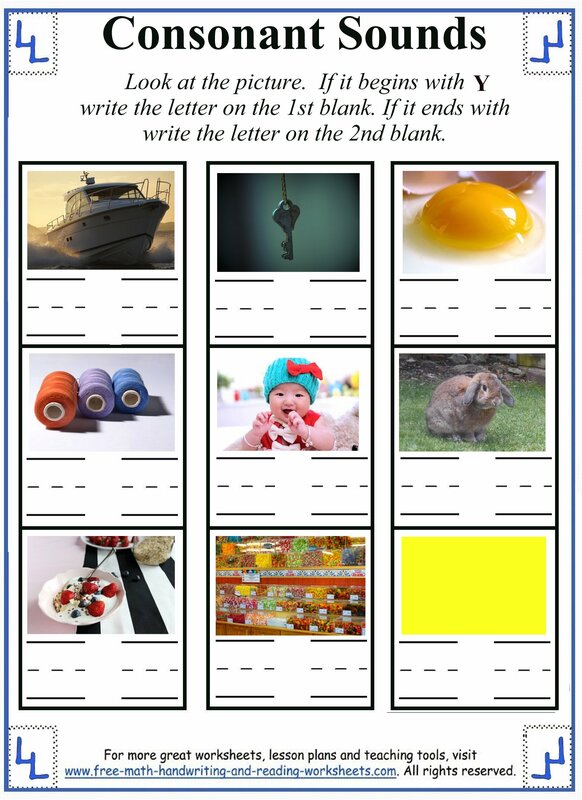 Name each picture, if it begins with Y (yacht, yolk, yarn, yogurt, yellow) write a Y on the first line. If it ends with Y (key, baby, bunny, candy) write the letter on the second line. 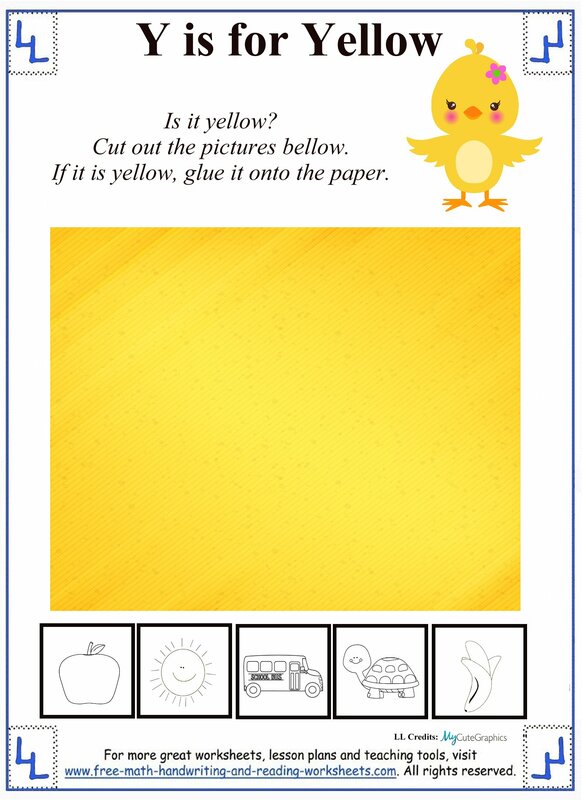 'Y is for Yellow' is a fun cutting, pasting, and coloring activiity. Have your child cut out the pictures at the bottom. Name them and decide which color is one is. If it's yellow, color it yellow and paste it onto the paper. The fourth printable show three pictures next to four groups of words. Circle the word that best describes each photo and then write the word on the line underneath. 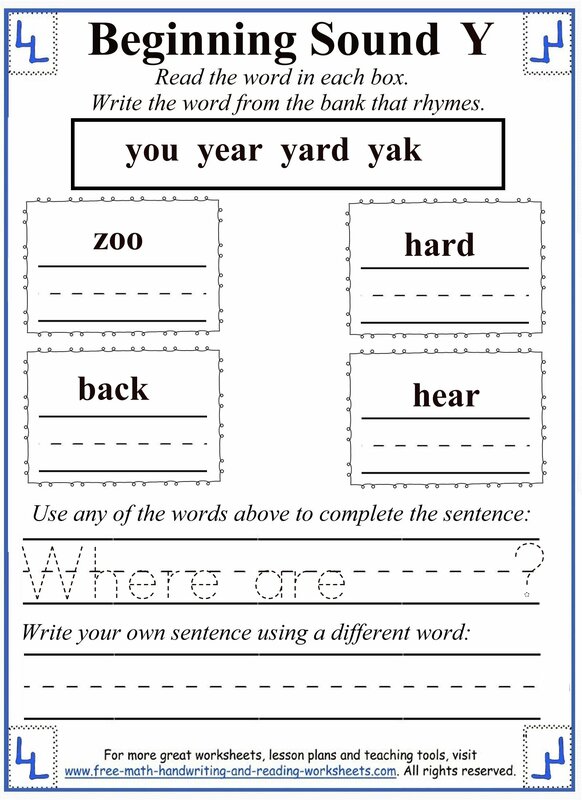 The rhyming task shows four words that begin with Y at the top of the paper. Beneath are four boxes with other words. Write the rhyming Y word in the appropriate box. 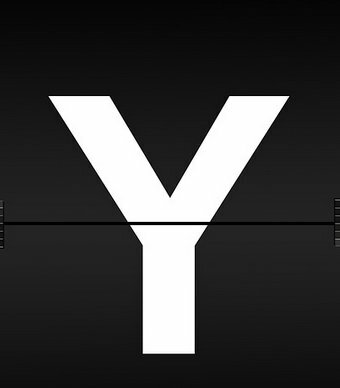 Complete the sentence with the correct Y word and then create an original sentence using another. Web Words is brainstorming activity. 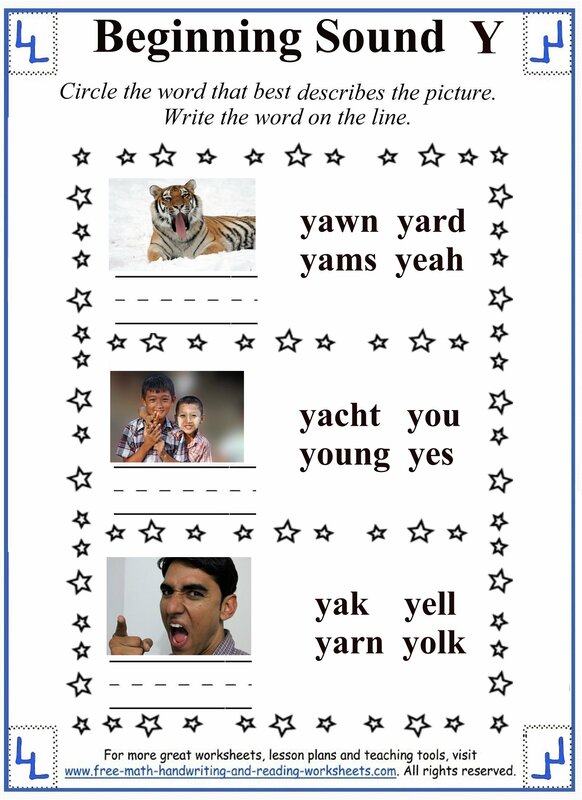 Have your child write ten words that begin with the letter Y. Write the words on each section of the web. For more lessons on the Alphabet and writing, see the similar lessons below.